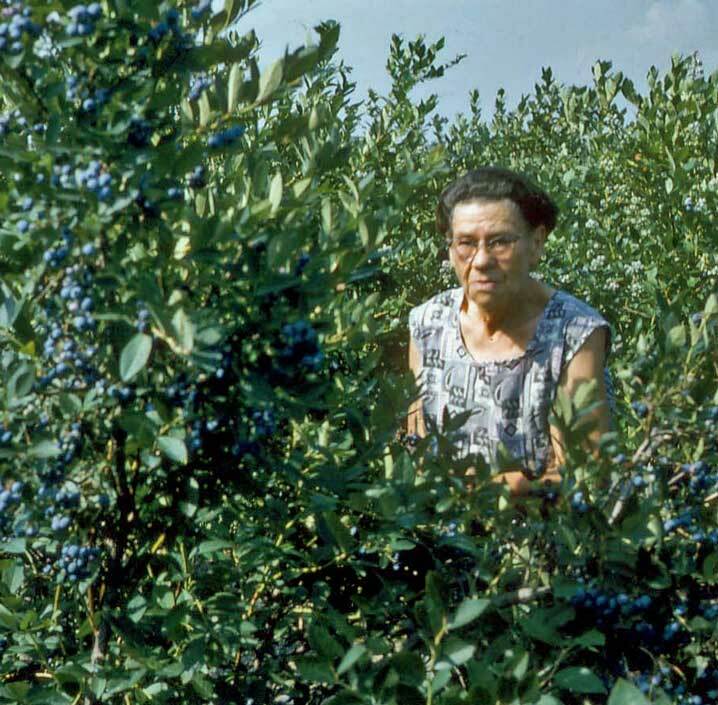 Cultivation of domestic blueberries was a fairly new enterprise in western Michigan. 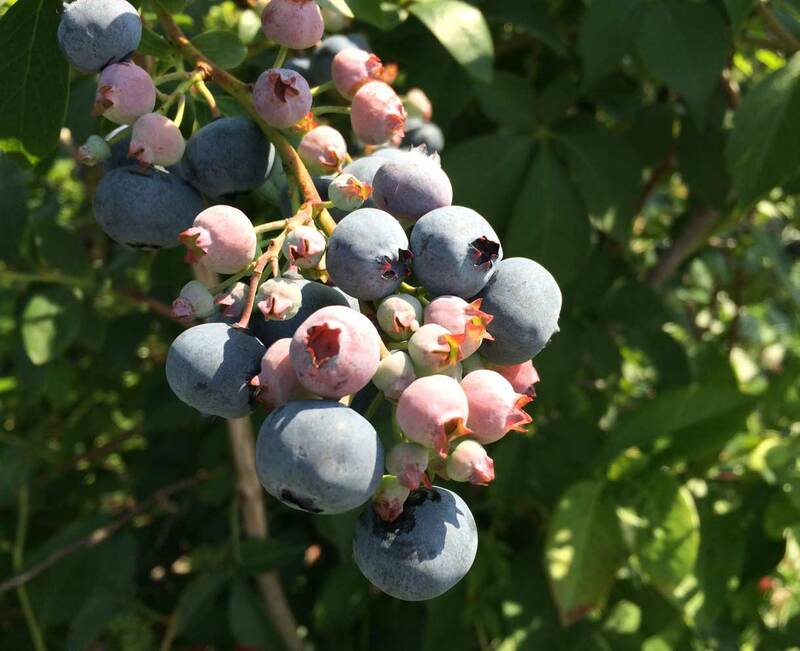 The sandy, acidic soil along Lake Michigan was well suited for growing blueberries. The work began in the autumn of 1952. Kenn and Irene paid $2000.00 for unused land from Henry Bredeweg, near the shore of Lake Michigan, just north of the city of Holland. A neighbor was hired to disc the land but from then on, Kenn, Irene and their two young sons, Doug and Jerry, worked to improve the land. In 1953, work began in earnest with the purchase of 200 Rubel plants and a number of berry whips. Kenn bought a tractor with a disc for $800 early in the season, followed by the purchase of a cultivator. Cold frames were built for growing the whips, or cuttings, into young plants ready for the field. The next year, the family began the back-breaking work of weeding each row of small plants with hand hoes. More plants were purchased and planted in the long north-south rows. As in previous years, in the spring of 1955 more plants and whips were purchased and then planted. Dynamite was brought in to clear stumps to make way for more cultivation. The work became more challenging with the unexpected birth of their third child that spring. Irene kept the infant in a basket, in the shade of a blueberry bush and as she claimed, nursed that baby on blueberry milk! That summer, the family was able to sell their first harvest, just over sixteen hundred pounds. Expenses were triple the income but it was a start! Within two years, the harvest grew quintupled, to just over 8,000 pounds. Three hundred new Early Blue plants were purchased. As their name suggested, that variety produced berries well ahead of the existing varieties on the farm. The Rubels ripened in mid-season. The farm matured and in 1959, nearly 21,000 pounds were harvested. As the harvest grew, so did the need for help with the picking. Neighborhood children, former students of Irene and young cousins from Oakland County all came to earn money in the field. A packing shed was constructed in 1960 with extended family all lending a hand. Two years later, in 1961, the harvest neared 40,000 pounds. A block building was constructed and another 1500 Rubel plants were purchased from Allen DeVries. The big investment came with Kenn’s purchase of his first berry picking machine. The final entry in Kenn’s record book was for the year-end totals of 1962, with a harvest of 50,568 pound. 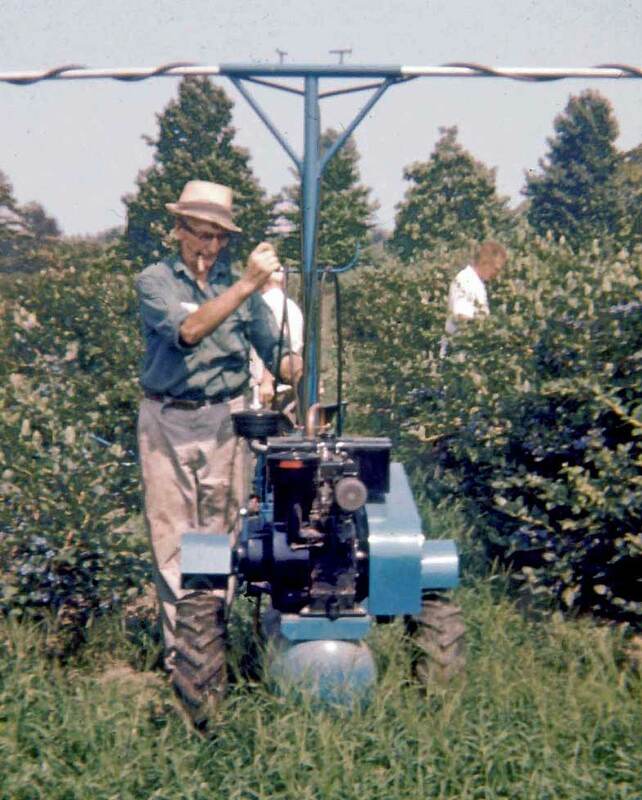 Kenn experimented with cultivating a variety of berries which would ripen at different times throughout the summer season, such as Early Blue, Jersey, Berkeley and Elliot. The back half of the field was planted last, in east-west rows, twenty acres in all. The farm would continue under the leadership of Kenn Yonker for another fifteen years before his eldest son took ownership and continues to operate the farm, today. The farm has continued to evolve by the introduction of newer varieties such as Blue Crop and Duke…and those berries are as wonderful as ever!